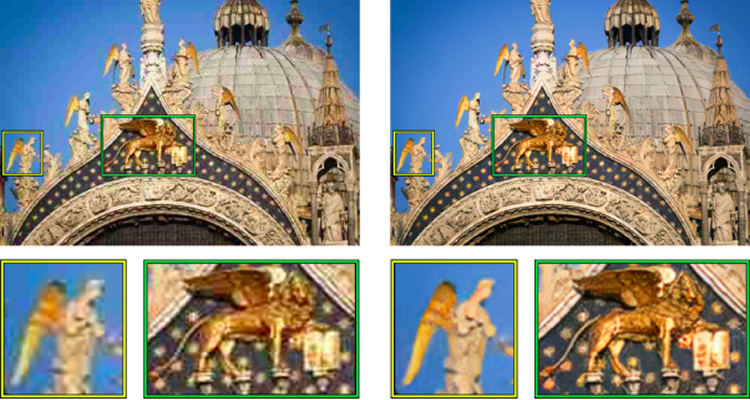 In this project we perform compression artifact removal by learning an image transformation task with a deep residual convolutional neural network. We show that conditional Generative Adversarial Networks produce higher quality images with sharp details which are relevant not only to the human eye but also for semantic computer vision tasks. We propose a GAN ensemble driven by a quality prediction network able to restore images compressed at any rate. TESEO. Project co-financed under Tuscany POR FESR 2014-2020. 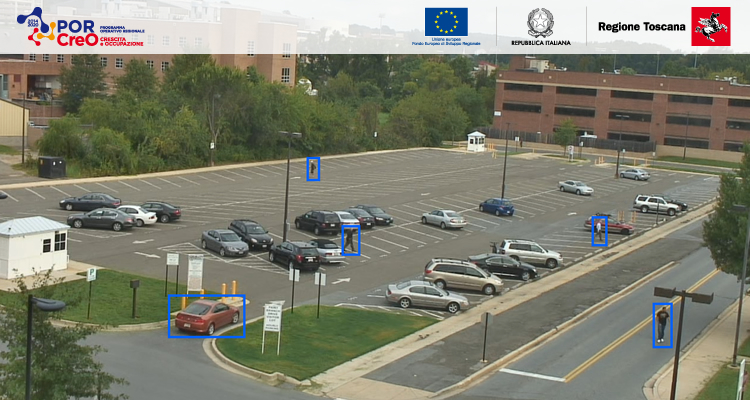 Development of an integrated, multi-sensing, high automation system for parking, traffic management and vehicle surveillance in wide areas. TESEO. Progetto finanziato nel quadro del POR FESR Toscana 2014-2020. 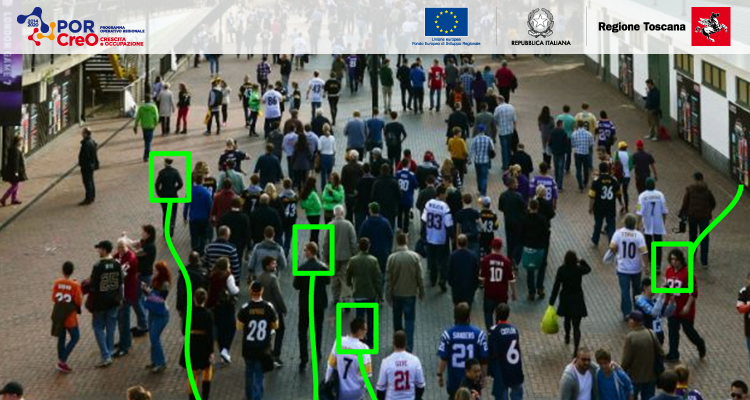 Sviluppo di un sistema integrato, multisensore e ad elevata automazione per la gestione del traffico, della sosta e della sorveglianza di veicoli in vaste aree. 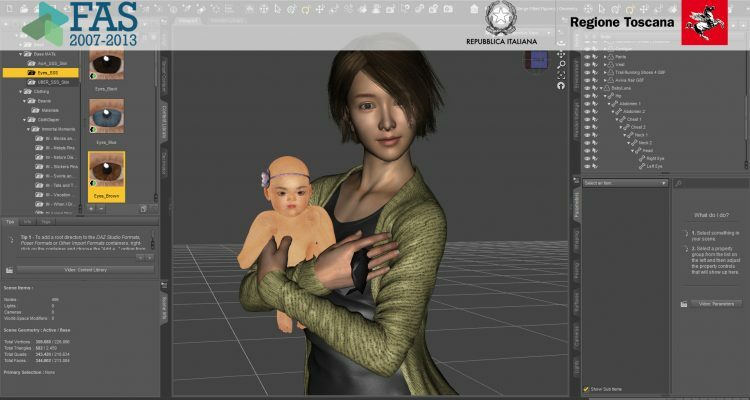 E-health communication systems for Instructing and Monitoring patients: creation of 3D animations from medical instructions and automatic patient activity assessment. The correct execution of instructions to patients is crucial for the success of the health care and a crucial step of the therapeutic alliance. Everyday language is not sufficient to this end: the more that activities must be precisely defined the more language complexity grows. The solution proposed in this project is to develop an e-health module, interoperable with different platforms, which exploits the communicative potential of 3D animation, videos, and computer vision, in giving and monitoring instructions.